Hello everyone! 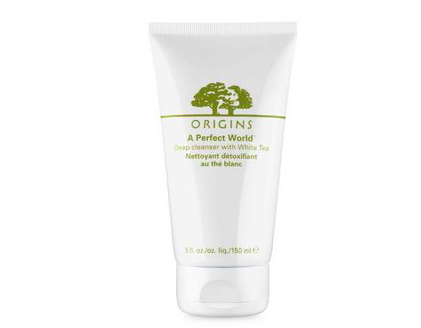 Today, i want to do a review on the Origins Antioxidant cleanser with White Tea. I bought this near end of 2014 and this product is still lying in my bathroom now. Initially i was super stunned at how wonderful this cleanser was. It really cleaned every bit of dirt out of my face! And the smell is super great. So i diligently use it once or twice everyday. The product said it 'antioxidant'. Free radical cleansing impurities. All these words just flash across my face whenever i use it. I was like "yeah! I'm gonna have beautiful skin soon!" After using for a few times, my face was radiant. And then here comes the bad part. It took me not long to realise that my skin always feels very dry and tight after cleansing. I was always desperately in need of my toner to soothe the dryness. During that time of usage, i started having breakouts too. I'm not very sure if this cleanser was the direct cause for my outrageous acne problem, but i'm quite certain that it did not help my acne much. So overall, i think this product is just a hype. Even though it smells nice, even though it cleans really well, but it didn't do well on my face over a period of time. Before rating this product, i have to do some justice for Origins first. haha. My skin layer is thin and i have sensitive skin. So when the product is too strong, it dries my skin out and my skin feels tight too. I am more suitable for mild cleansers like a Clinique one. Origins tend to have a stronger effect on the skin i would say? Thus, it really depends on your skin type. If you have thicker layer of skin, have super oily skin, u can try this out. Otherwise, i wouldn't recommend. This thing is not cheap too! P/S: What do i do with the leftover product? I use it to clean my legs since my legs have a thicker layer of skin than my face. Sometimes, i use it to clean my back too.